3 Beds 2 Baths 1,761 Sq. ft. Looking for something w/a country feel yet close by to shopping, retail & main thoroughfares well look no further!Ranch style home situated on large lot w/plenty of room for person that wants a place to have outdoor hobbies, space between neighbors, room for kids to run & play or maybe you have furkids?One owner home so it needs some TLC but has great bones! 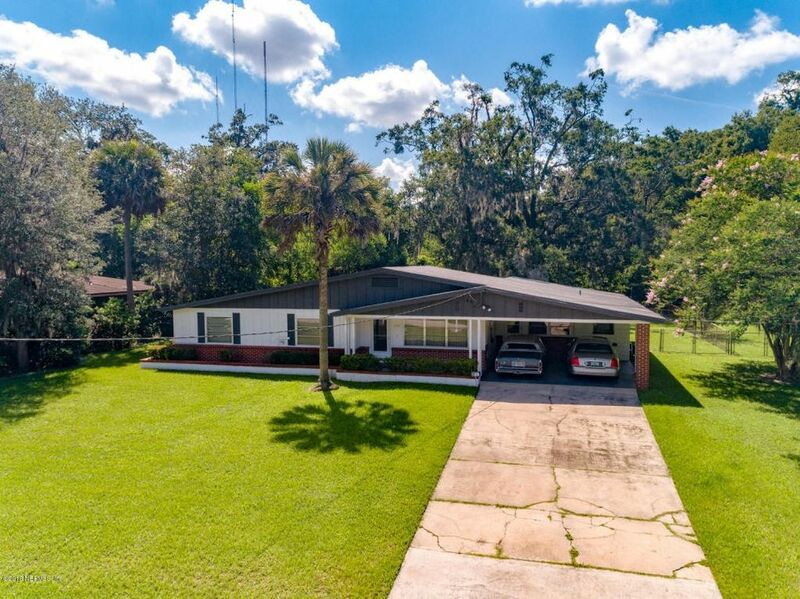 Roof-13 y/o, garage roof-1 y/o, HVAC-8 y/o;new well pump, septic tank pumped 2016;termite bond.Rooms are spacious & 2 full baths for growing family.Formal living & dining areas as well as room addition in back of home, great for rec room or second family room.Screened porch that overlooks the huge back yard.Attached 2 car carport & detached 2 car garage w/electric. Please be careful opening garage door (right side), it is a bit difficult. Directions: From Southside Blvd, head west on Touchton Rd, t/r on Belfort Rd, t/l on Newton Rd, t/r on Sunnybrook Rd. House will be on the right.